Enhanced Ecommerce is undoubtedly an excellent feature of Google Analytics. It provides us with a set of reports that truly extend the capabilities of funnel-based website analysis. As I’ve shown before, it’s also very useful for tracking other transactional events on your site, such as content engagement. However, here’s the thing. It’s not very easy to implement. Even if you get everything right according to the documentation, there are still quite a number of pitfalls, and many of the learnings emerge only through experience. This is where I want to help out, so I composed this post with some of my key findings about Enhanced Ecommerce implementation and use. It’s well worth learning this stuff, as a fully functional Enhanced Ecommerce implementation might well be the key to finally coming up with a useful report to plaster across your vanity dashboards. As a self-proclaimed Google Tag Manager fanatic number 1, I do all my implementations with GTM. There are some quirks you need to consider, though, when implementing Enhanced Ecommerce through GTM. Here they are, in no particular order. If you use the Enable Enhanced Ecommerce / Use Data Layer option in your Tags, there’s one very important thing to understand. Only the most recent ecommerce object is included in the hit! In other words, if you do two consecutive dataLayer.push() commands with their own ‘ecommerce’ objects, any Tag which fires after the latter push will only have access to the latter ‘ecommerce’ object. This is because the “Use Data Layer” option uses version 1 of the Data Layer, which doesn’t have fancy things like recursive merge of objects. In practice, this means that an ‘ecommerce’ object will always overwrite the previous ‘ecommerce’ object in the data layer, if the version 1 interface is used. The example above pulls together both product impressions and product detail view in a single object, sending the complete payload to Google Analytics with the Tag. 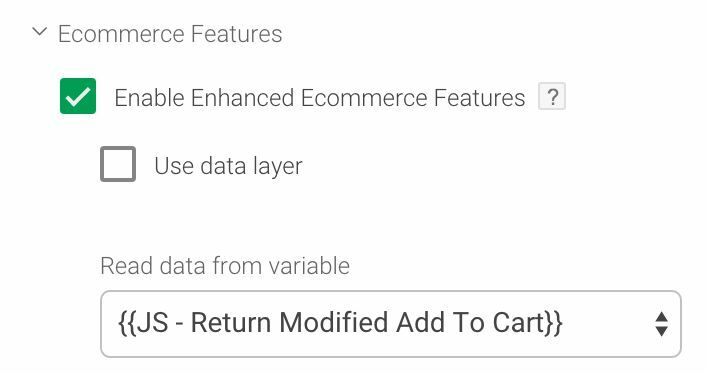 To access a recursively merged ecommerce object, you will need to create a new Data Layer Variable which accesses the ‘ecommerce’ object pushed within. Instructions for this can be found in this article. In any case, combining objects into a single payload can truly save a lot of time and make the whole thing more efficient, but don’t forget that Google Analytics has a character limit in the payload! The analytics.js library refuses to send a hit if the full payload size is larger than 8192 bytes. This does require quite a lot of data to be stuffed within, but it only takes some dozens of product impressions to clog up the channel. Eivind Savio has written an excellent post about how to manage this overflow, so I suggest you head on over to take a look! Enhanced Ecommerce is comprised almost entirely of hit-level interactions. 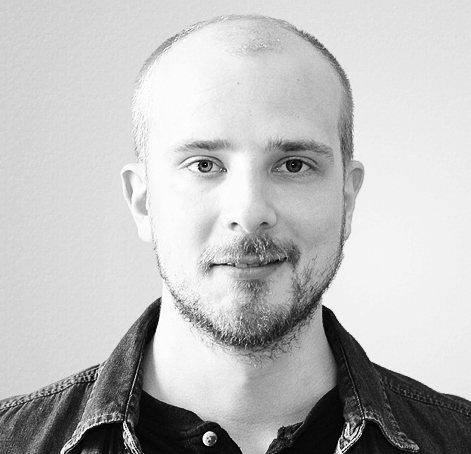 This means that every Enhanced Ecommerce payload sent to Google Analytics is unique, and does not persists its information across subsequent hits. This, in turn, basically means that the products Array needs to be consistent throughout the funnel. For example, if you have a product which has the category ’T-Shirts’, you will need to have this information in all the payloads the product is sent in if you want to query for it across the entire funnel. GTM or GA will not persist this information. You’ll want to be very careful when designing and developing the Data Layer for your Enhanced Ecommerce payloads. The developers need to understand how important it is to have the product details be identical throughout the funnel process. In this case, querying for product SKU ‘A12345’ will return a result when queried against product detail views and product adds to cart. However, product name ‘My T-Shirt’ will only return a result when queried against product adds to cart. Since this product name was missing from the ‘detail’ payload, you won’t be able to query for this information. Many times when working with an Enhanced Ecommerce implementation which uses client-side methods to populate some of the data (e.g. scraping from the page), this consistency requirement has become a serious issue. I’ve been forced to persist full product information throughout the funnel using solutions like HTML5 Storage and cookies. This is not the recommended approach. Note that checkout is a bit exceptional in terms of consistency. It’s enough to send the ‘products’ Array with just the first step. This is because Enhanced Ecommerce only has an aggregate productCheckouts metric, which increases by one when a product is sent with the first checkout step. The checkout option and the rest of the checkout steps need not, and thus perhaps should not include product information. Product-scoped custom dimensions and metrics are a wonderful way to extend the rather limited set of information you can send with each product. To send a product-scoped dimension or metric in Google Tag Manager, you need to include the dimensionX and/or metricX key in the respective product in the payload you want to send the dimension/metric in. Again, as in the previous chapter, product-scoped dimensions and metrics do not persist, so you will need to include them consistently in the payloads. Naturally, a payload like this will only let you query for this information with product detail view queries, and for this particular product only. These dimensions do not persist across funnel payloads, nor do they cover multiple products. They’re per product, per hit. I’ve written about product-scoped custom dimensions and metrics before, so remember to check out this article as well. 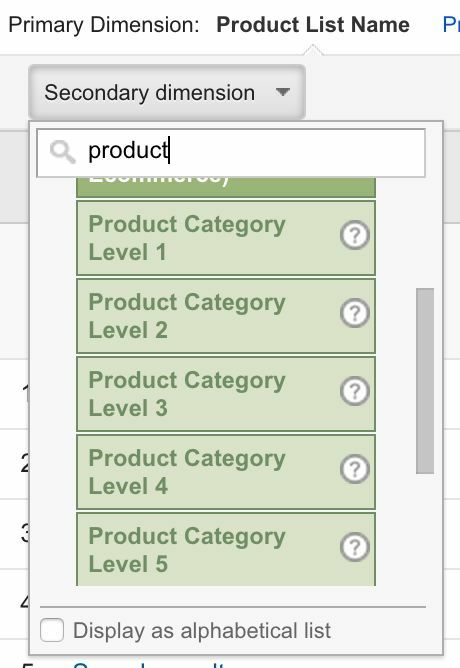 The ‘category’ field has been available in “traditional” Ecommerce as well, but it’s been slightly revamped in Enhanced Ecommerce. First of all, the consistency requirement applies here as well. If you want to make full-funnel queries against a product category, you will need to send the category with every single product in all steps of the funnel you want to query against. The field does not persist. These aren’t available in the default reports, but you can create custom reports easily, or use them as secondary dimensions. If your category names contain the character ‘/’, you will need to write this in a different way, as there’s no way to encode the slash without it being interpreted as a category delimiter. Not everything about Enhanced Ecommerce is hit-level, though. Product lists and promotions have an attribution mechanism, where the last list or promotion that the user interacted with before a purchase within the same session is the one which gets full credit for the purchase. In other words, you don’t need to persist list information throughout the funnel. It’s enough to send it only where the list interaction takes place, and the attribution will take care of the rest. Remember to check the developer guide for a description of this attribution mechanism. This short list of tips includes a number of things that are either vaguely described in the developer guides, or are difficult to grasp without concrete examples. If there’s one thing that stands out, it’s the consistency requirement. It’s very important to keep product details consistent across the funnel. A single change in the product name, for example, can make reporting extremely difficult, as you’ll need to consolidate multiple product names under a single SKU in your reports. Did I miss some important tip / learning? Do you have something to add? Sound off in the comments!